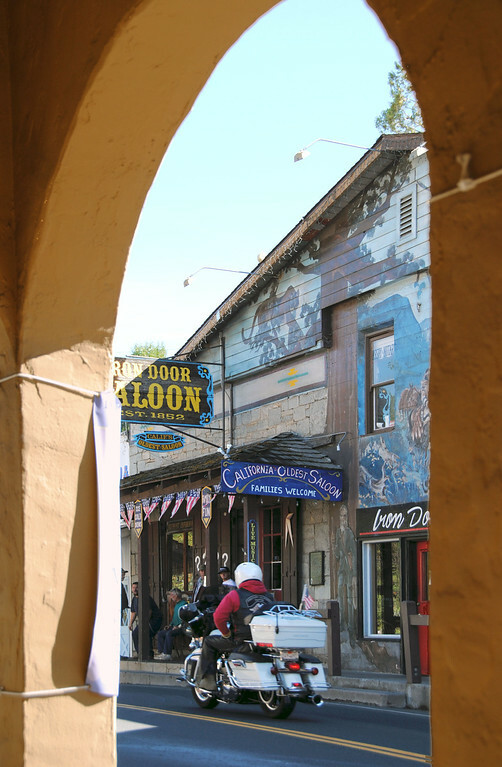 While growing up in the East, we've been inundated with TV shows, movies and songs about California, and many a long, cold winter was spent dreaming of escaping to the land of Ponch and Jon, Baywatch and The O.C. 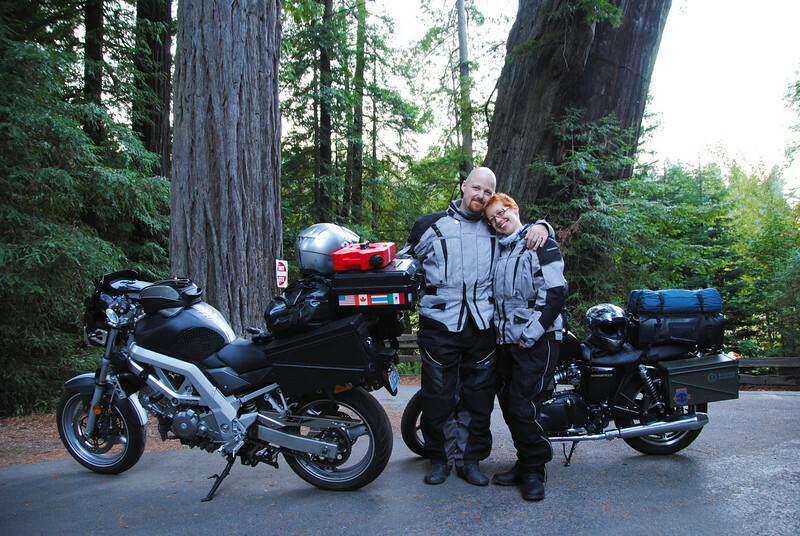 One of our earliest motorcycle road trips was an 18-day trek from Toronto to San Francisco and back, and we stayed glued to the seat for the entire duration, stopping only to eat, gas or sleep. Well, this time around we're taking the scenic route, it's taken us about 4 months to get here! 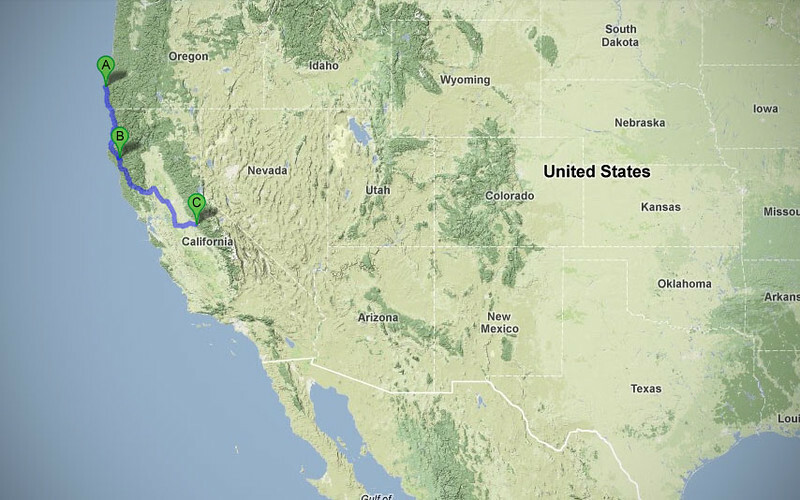 We've discovered that when we're not trying to outrun Old Man Winter or a vacation-deadline, we travel quite slowly. 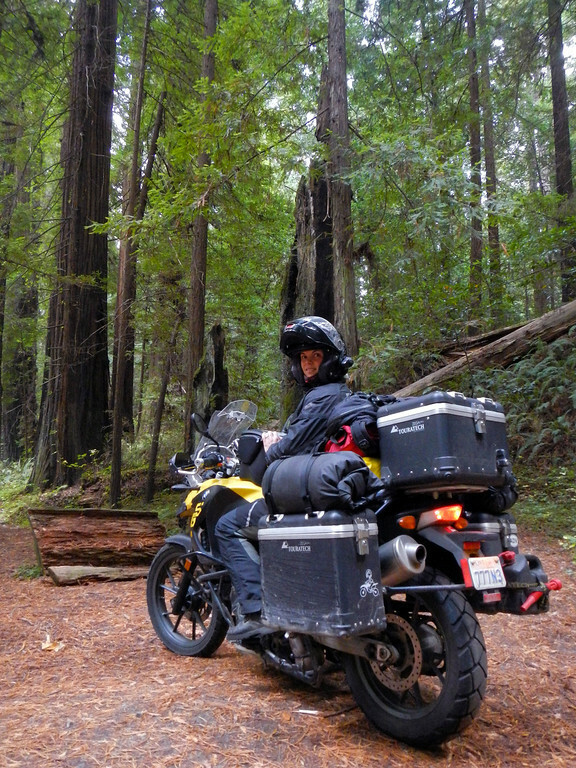 Just south of the OR/CA border, the 101 crosses into Redwood National Park, and further south we get off 101 to properly ride through the giant trees on the Avenue of the Giants, a 31-mile detour that follows old Highway 101. 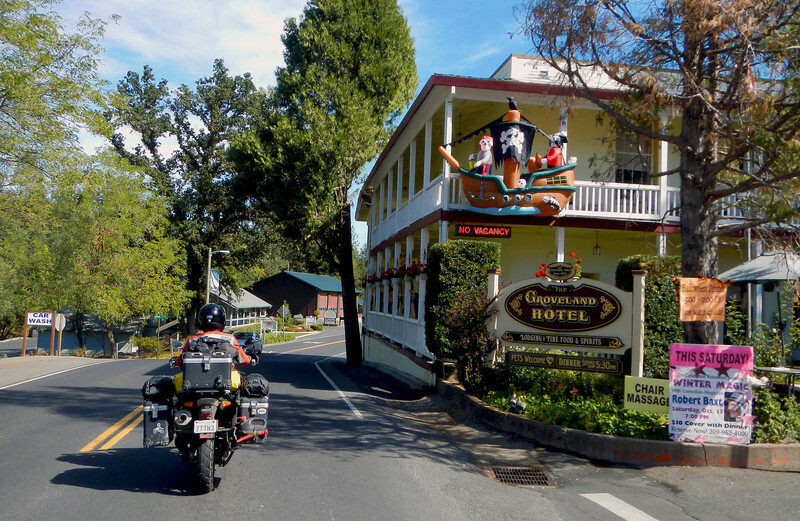 Don told us that before the current 101 was built, the wider trucks would graze the edges of the Redwood trees on the Avenue of the Giants, because the road was built so close to the trees. 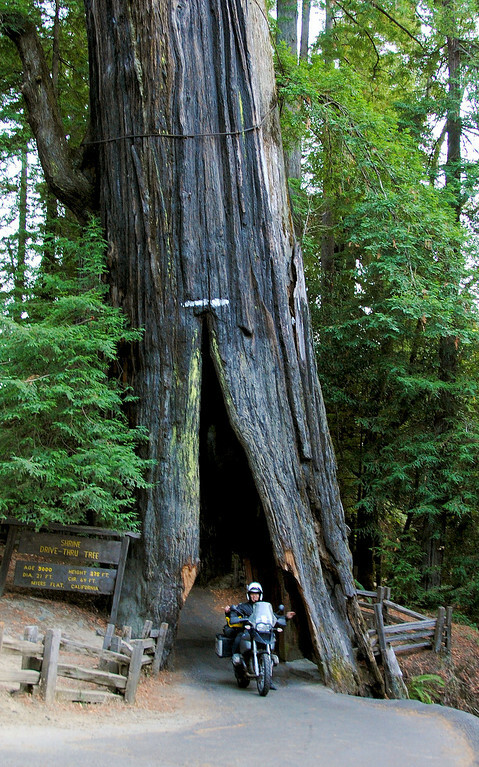 It was easier to build the road around some of the largest trees than cut them down! 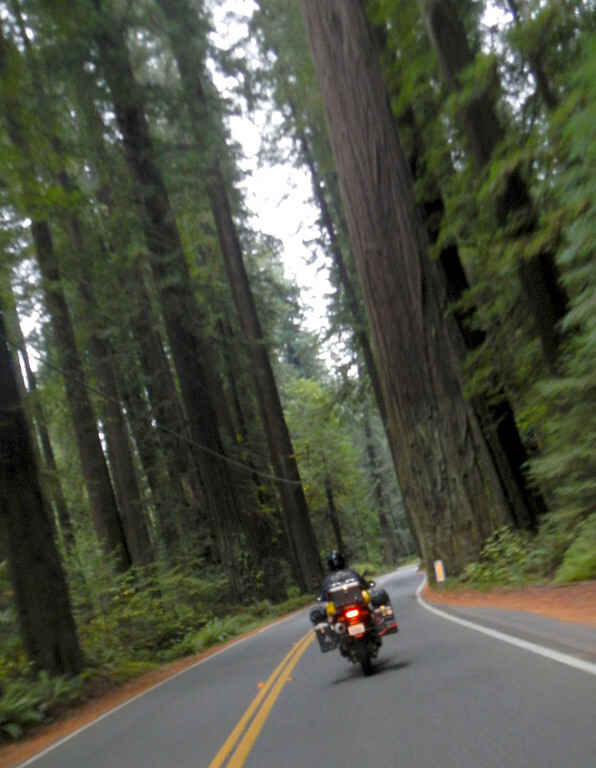 Riding past some of the world's tallest trees! Towards the end of the Avenue of the Giants, we see a sign advertising a drive-thru a living tree! Cool! However, we're not sure it would have survived without all the baling wire to keep it from toppling over. 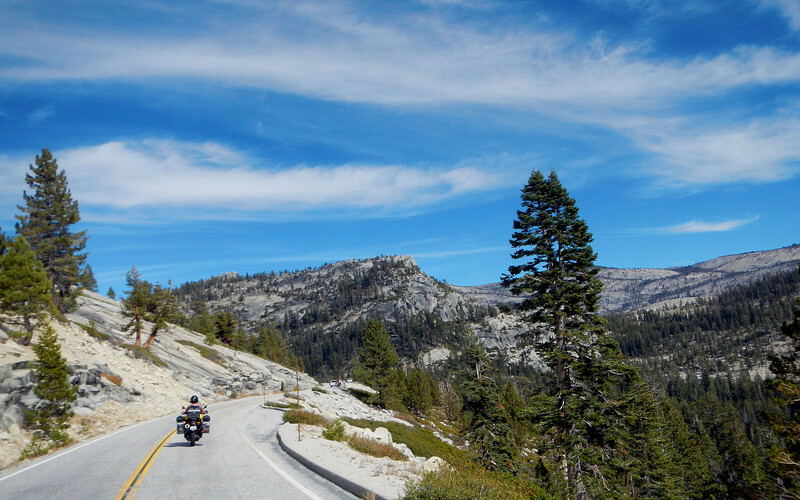 While we were there taking our tourist shots, we notice that another motorcycle couple had the same idea, and they were ADVers as well! 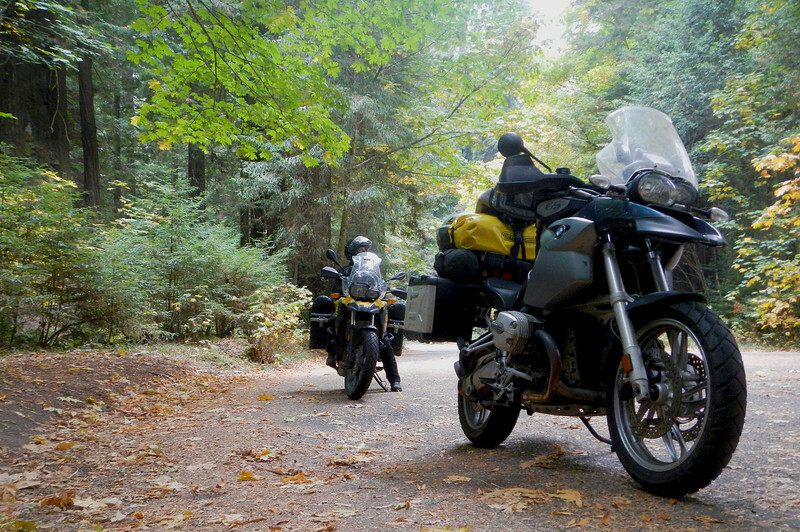 Jon and Natalie were on a 2-week whirlwind trip riding their SV650 and Bonneville border-to-border from Vancouver to Tijuana and back, very cool! Jon and Natalie from Seattle - she made those panniers herself from ammo cases! 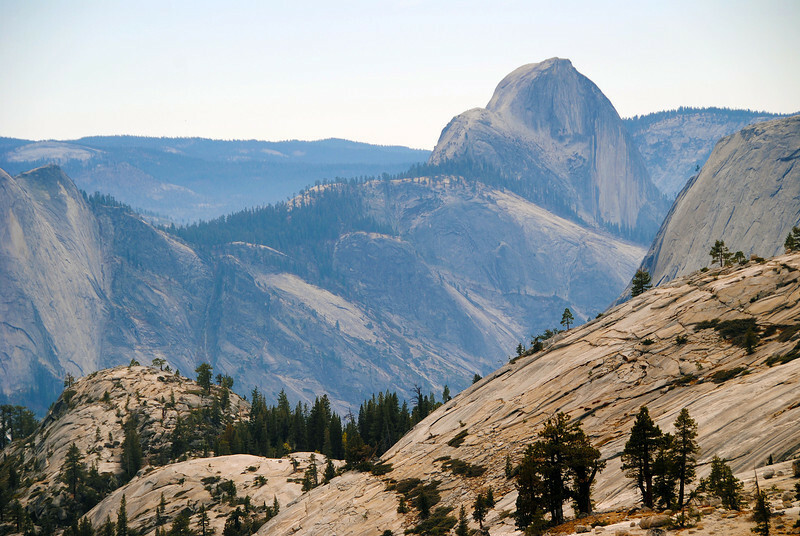 This is our 2nd time through Yosemite, as mentioned earlier, we did our own whirlwind trip through the National Parks of SW US a few years ago. This time, we actually got off our bikes and hiked around a bit. It's interesting reading through our ride report from the first time around, and contrast that to what interests us now that we have more time on our hands. Can't believe we stayed at such expensive places as well! 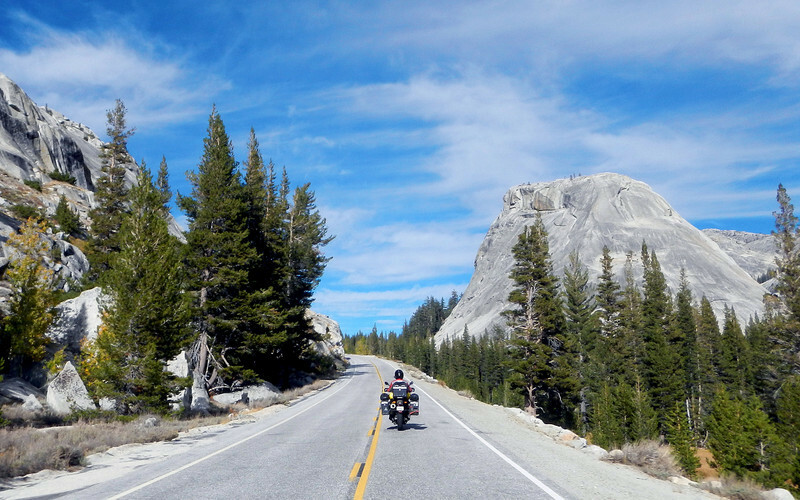 In Yosemite, we ride Highway 120 right through the Tioga Pass, the highest mountain pass in California. Seeking shade at Olmstead Point - not sure why, it's pretty cold up here! 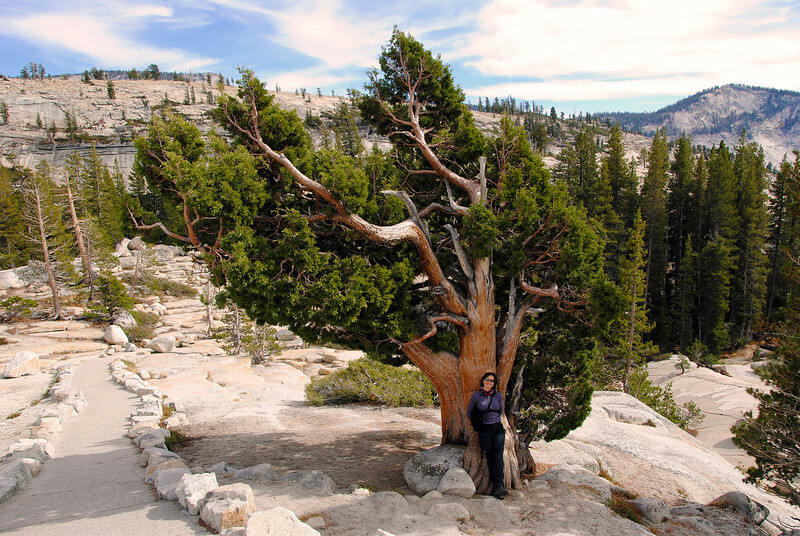 Olmstead Point is a popular visitor's stop on the Tioga Pass. 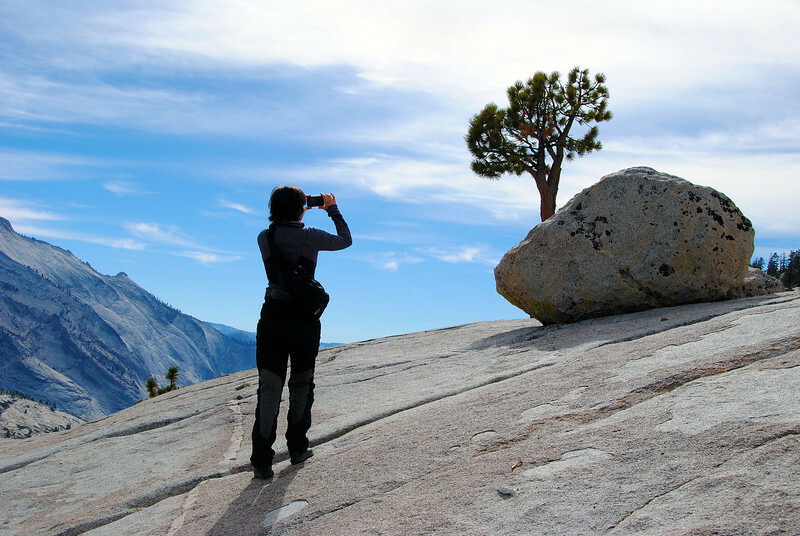 It offers great views of Tenyana Canyon below as well as Half-Dome, a very famous Yosemite rock formation, in the distance. 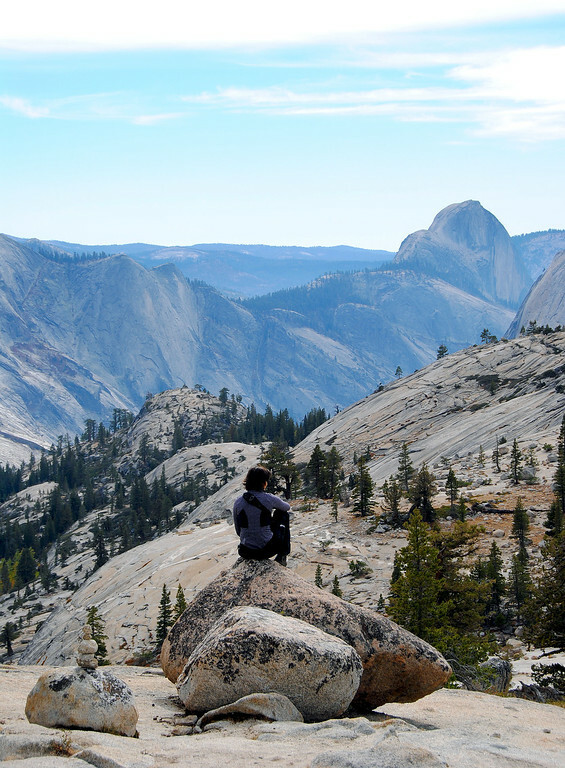 Everything we've been told about hot and sunny California has turned out to be a lie. It's cold here too. We've got to find someplace warmer!